ViewSonic bundled promotions make it easy to get the right hardware, media players and software for your unique installation – all at one easy price. Check out our latest promotions packed with useful add-on accessories so you can get up and running in no time. Click on the active menu on the left (in grey), to find the ViewSonic solution that best fits your needs. Resellers selling to government, education, or medical entitites can take advantage of ViewSonic’s GEM and not-for-profit discounts on our award-winning products. Government entities include federal, provincial, and municipal; while education entities include university, college, CEGEP, and K-12+. Take advantage now, and receive discounts on select items from ViewSonic’s broad, innovative product line. Double GEM Discounts through March 31, 2019. For more information contact your ViewSonic Representative today! 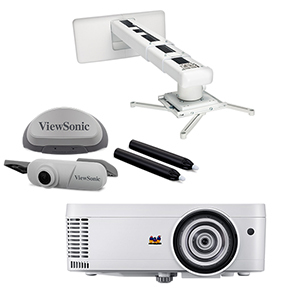 TO BUY One easy price includes a ViewSonic® LightStream® projector, interactive module, and wall mount kit, so you get everything you need for interactive projection. TO SET UP Camera seamlessly attaches to projector with included mount and connects to laptop via USB cable. Mount the laser curtain module above your screen with the included magnets, screws or Velcro sticky tape. TO USE Fire up the projector and the auto calibration function launches with a single click and completes in under a minute. + WALL MOUNT KIT = EASY PRICE! Special Pricing for 1st Time ViewBoard® Display Buyers! 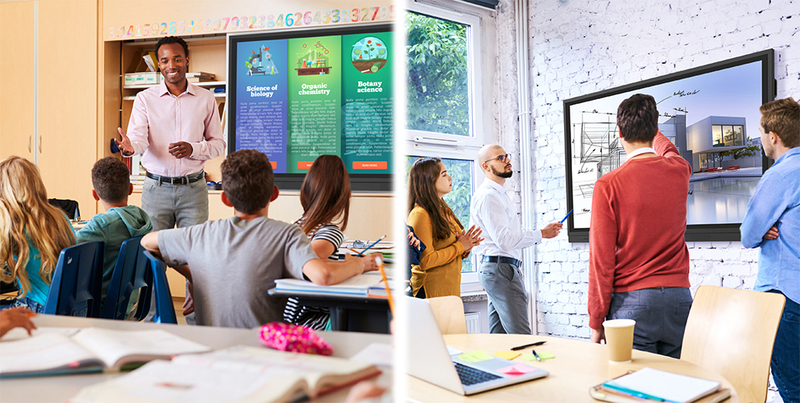 A centerpiece for collaboration, ViewSonic® ViewBoard® interactive flat panels deliver incredible interactive capabilities for 21st century education and business environments. 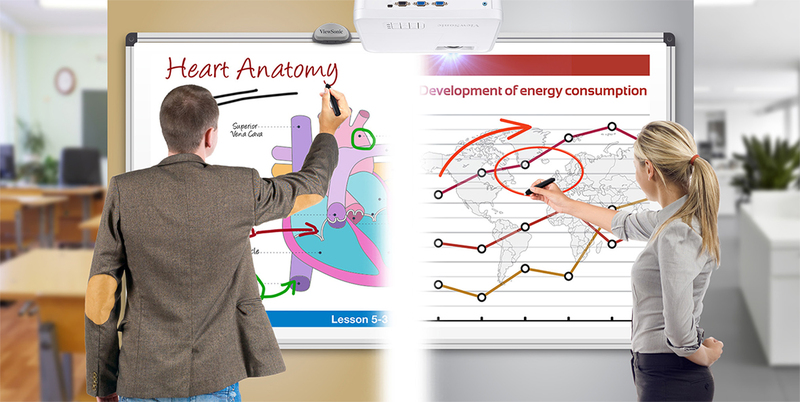 A highly accurate InGlass™ touchscreen provides an incredibly natural handwriting experience, and allows multiple users to simultaneously write or draw on the screen with their fingers and styluses. Easy-to-use annotation software makes interactivity a snap, and empowers users with instant collaboration and content sharing. First-time ViewBoard display buyers can now enjoy exclusive low prices! To take advantage of this special offer, simply purchase a select ViewBoard accessory along with a ViewBoard display of your choice. For special pricing contact your ViewSonic Representative today!